The Social Security Number Trace search reviews the historical and logical connection between a candidate and the candidate’s Social Security Number (SSN) and provides an indication of a name match, along with information on the candidate’s address history, issuing state, year issued, and any alias names used. 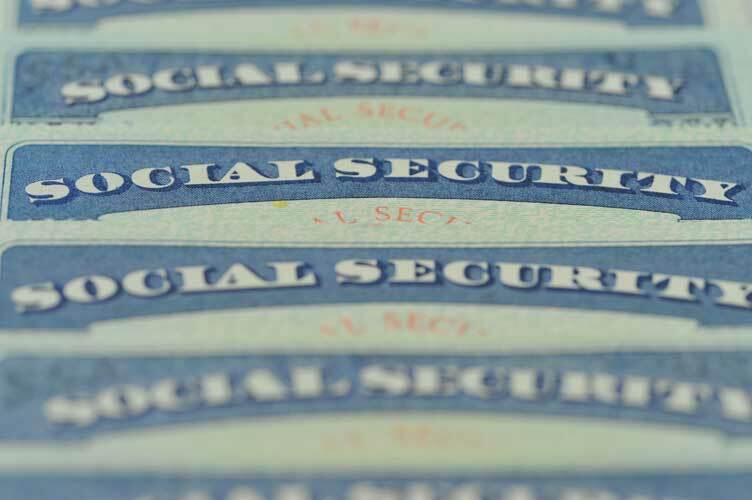 The Social Security Number Trace report is not obtained from the Social Security Administration (SSA) and does not provide validation of a candidate’s SSN. For SSN validation, please inquire into our Consent Based Social Security Number Verification (CBSV) product. Q: How far back is address history reported on the Social Security Number Trace? Q: Does the Social Security Number Trace include information from the SSA’s Death Master File? Q: Does the Social Security Number Trace verify that the number belongs to the candidate? Q: What are “aliases”, “AKAs”, or “Name Variations”? A Social Security Number Trace is the foundation of any solid criminal search. The information returned in the trace can be used to develop additional county criminal searches based on the addresses associated with the candidate’s social security number. The trace will also identify alias names associated with the candidate’s social security number so criminal searches can be run against them. As criminal searches are based on name and date of birth, and not social security number, running based on alias names can be key to ensuring your search is as thorough as possible. Develop additional jurisdictions where an applicant has lived, in addition to AKAs that may not be included on the application. These developed jurisdictions and names are used to form a more comprehensive criminal record search, potentially uncovering criminal records that may have been missed using only applicant-reported information. Aid in identifying the location and date of issuance, potentially revealing inconsistencies. Return many years of address and name information. The jurisdictions added in terms of a criminal search are determined by the criminal package selected. The SSN Trace utilizes 1000s of different sources of information, such as utility bills, car registrations, rental agreements, etc. However, the vast majority of the information comes from what are called "credit headers.” Basically, whenever a person applies for a credit card or a loan or pays a utility bill, credit headers keep track of the SSN used, as well as the names and address histories attached to it. The SSN Trace is primarily used as a record locator device; therefore, no employment decisions should be made on the results of this check. Consultation with qualified legal counsel is recommended for all employment law matters. Complete: Report was returned to requester. A: Address history is provided for the past 30 years, when and where available. A: No; however, you can obtain this information by ordering a Consent Based Social Security Verification (CBSV) which will be through the Social Security Administration. A: No, the Social Security Number Trace only searches the database for the social security number. In order to verify the information matches what is on record with the SSA, you will need to order a Consent Based Social Security Verification (CBSV) which Info Cubic will process with the Social Security Administration. A: The Social Security Number Trace will return any unique jurisdictions and names associated with the candidate’s social security number. Info Cubic clients can have their account set up to automatically process criminal searches on alias names that are returned, which is best practice as criminal records are stored by name and date of birth. Q: My report indicates Info Cubic was unable to confirm the state and year of issuance due to SSN Randomization. What does this mean? The Cube will return all name and address history so long as the name input is found as a record on the corresponding SSN Address Trace records. This safety net is in place so we do not provide our customers with any potential names or addresses of other consumers. This is applicable in scenarios where an applicant or client user is using a false Social Security Number or made an error when keying in the number. If no matching records are found, our report will note this so customers can inquire with the applicant.